Let your spirit sing! 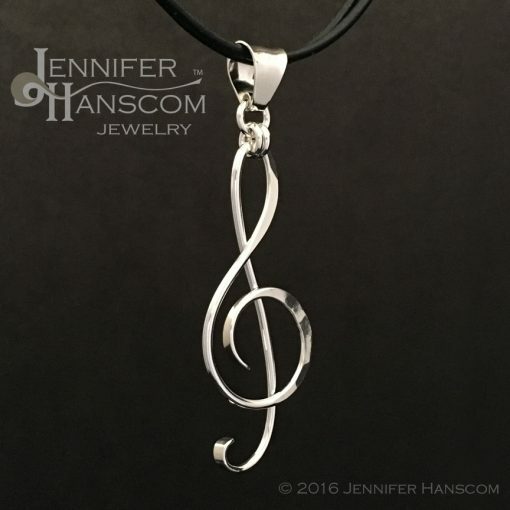 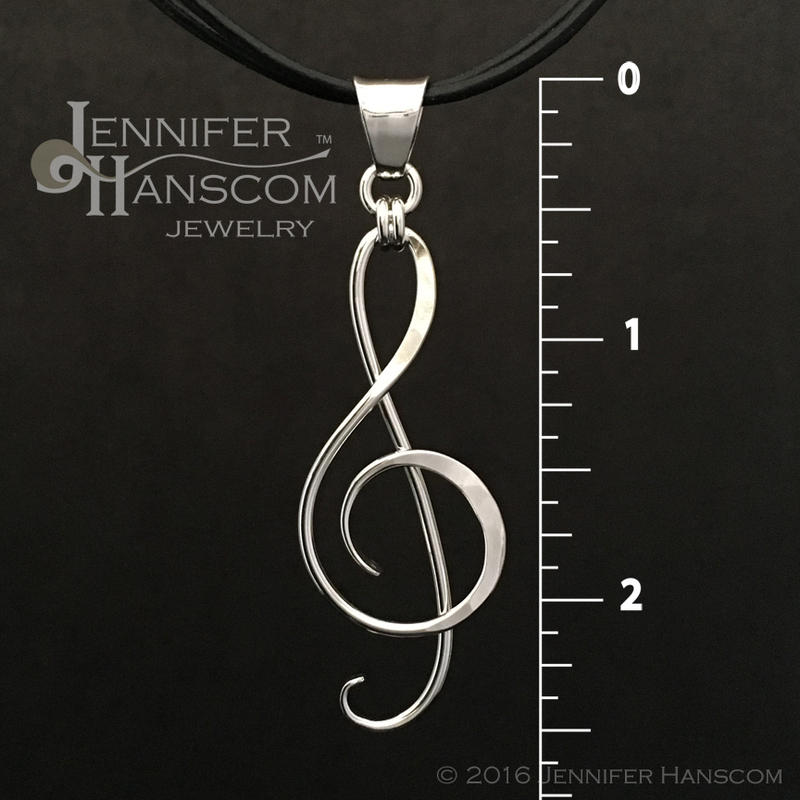 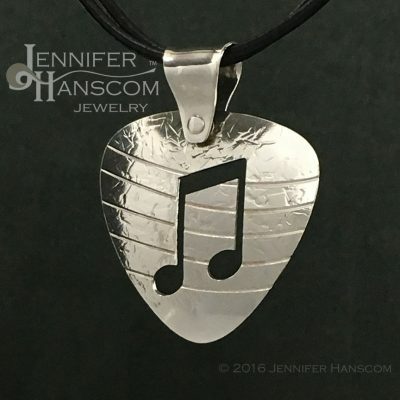 Proudly display your passion for music with this bold G-clef pendant (or treble clef pendant). 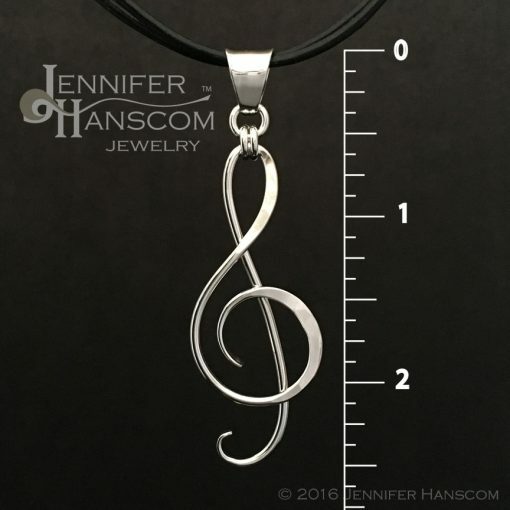 Measuring approximately 2 1/2″ long, people will be sure to notice. 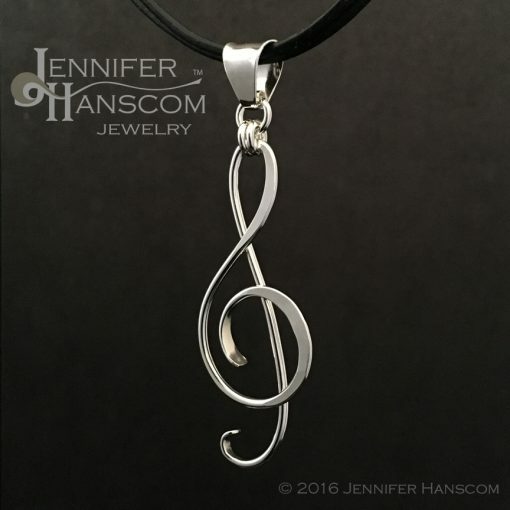 Hence, you will attract those that share the love of music. 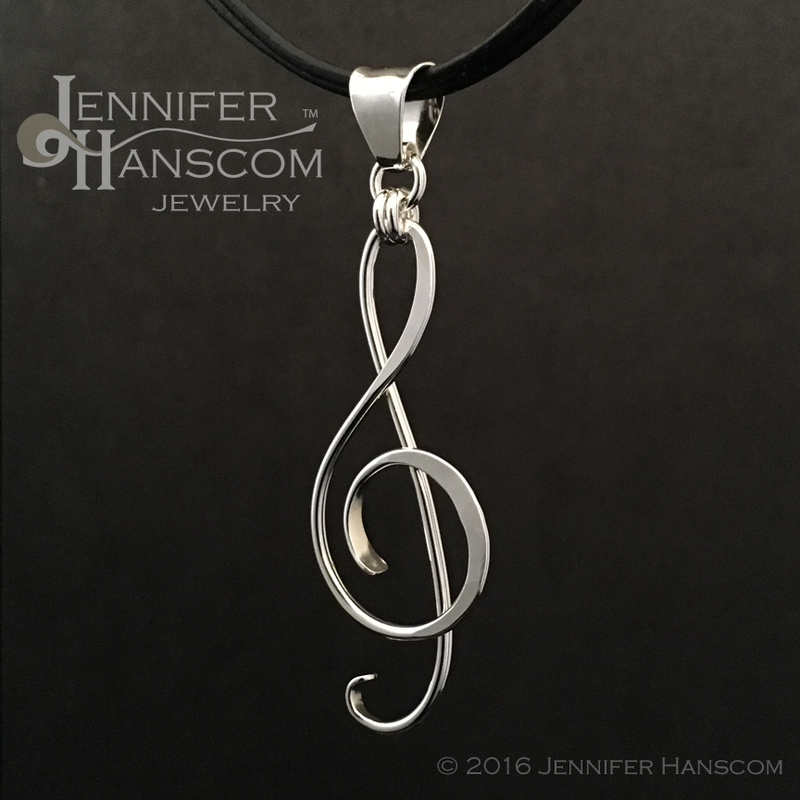 Every time you wear it, your favorite tunes will surely resonate through your thoughts and shine through with the smile on your face. 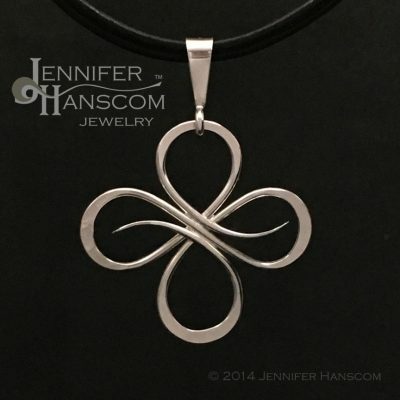 The bold flowing form is created by hand. The sinewy lines are expertly forged of heavy gauge sterling silver wire. 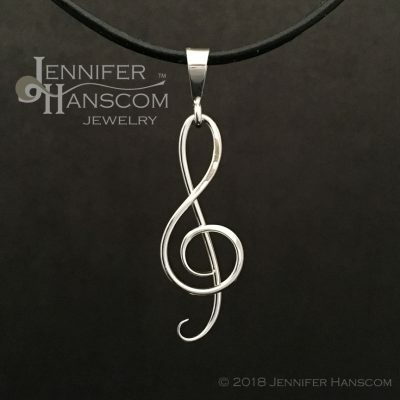 The bail offers a large opening (1/4″) so you can wear it on a wide array of necklace styles including my double leather and quad-leather necklaces.